This year on New Years Eve, Luke & I made a wish jar. 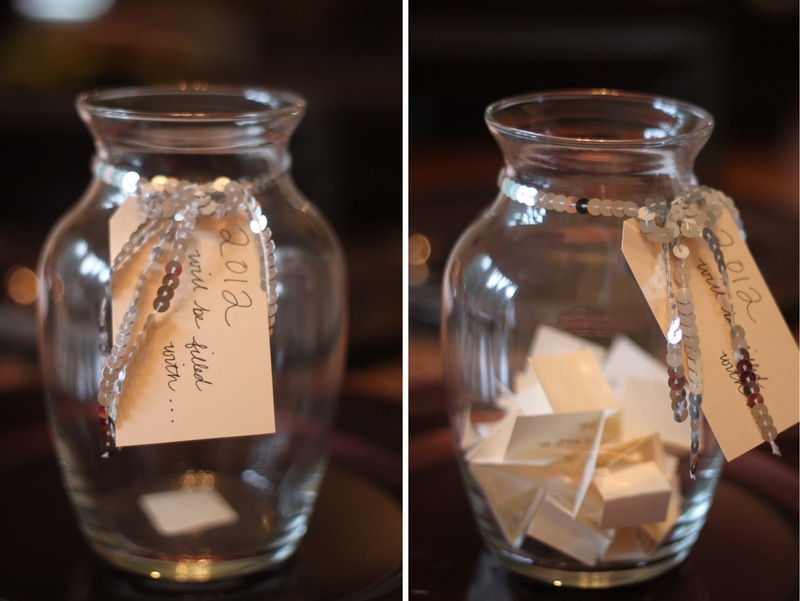 We wrote our wishes for 2012 on little pieces of paper, folded them up & placed them in our jar. The next day, on New Years Day, we each took turns reading our wishes one by one. Each & every one is very important to us & more importantly not out of our reach. Luke, too, wrote some down - but I decided to keep all those to myself. 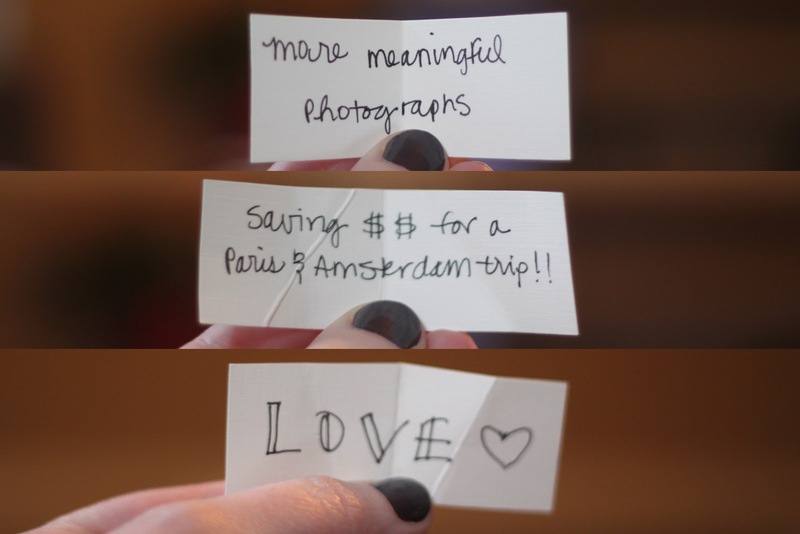 What are your wishes, hopes & dreams for 2012? What a sweet idea! I love your wishes. the sequinned bow is just too sweet. :) found your blog via fairy tales are true and it's just adorable! come check out my giveaway! that is such a good idea! love it. I love this idea! and I think everyone should save and go to Paris, it's a truly magical city. what a sweet idea. i love this.